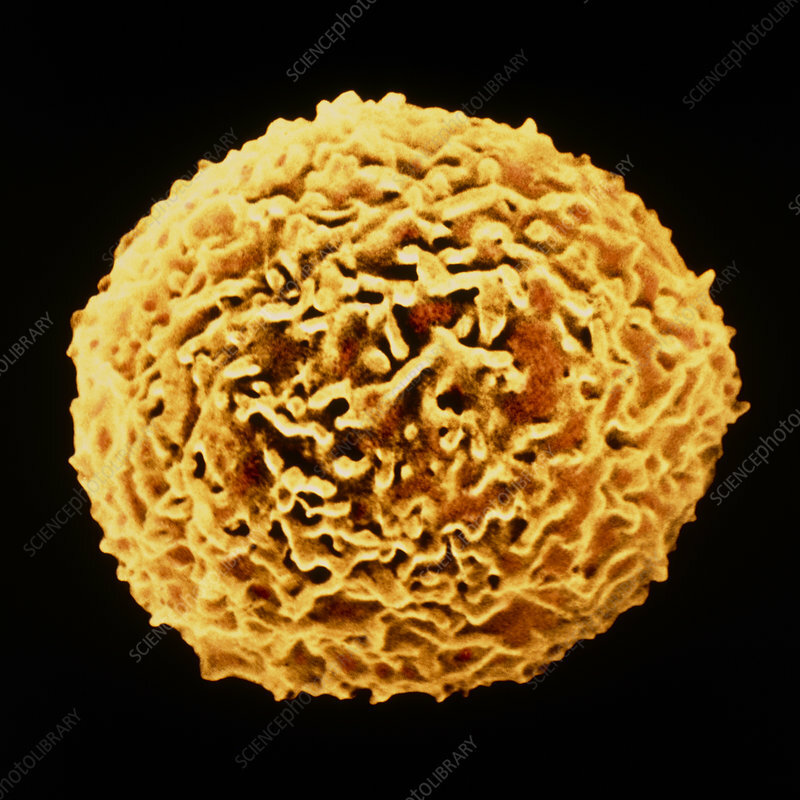 False-colour scanning electron micrograph of a neutrophil, the most common type of leucocyte (white cell) in blood. Neutrophils are formed in the bone marrow and use the blood as a transport system to reach sites of infection in the tissues, where they engulf invading micro-organisms. They constitute 40 to 75 per cent of circulating leucocytes. A neutrophil has a single, highly lobulated nucleus. In the mature neutrophil there are usually five lobes connected by fine strands of nuclear material, but in immature cells the nucleus is generally less lobulated. Magnification: x4800 at 6x7cm size.